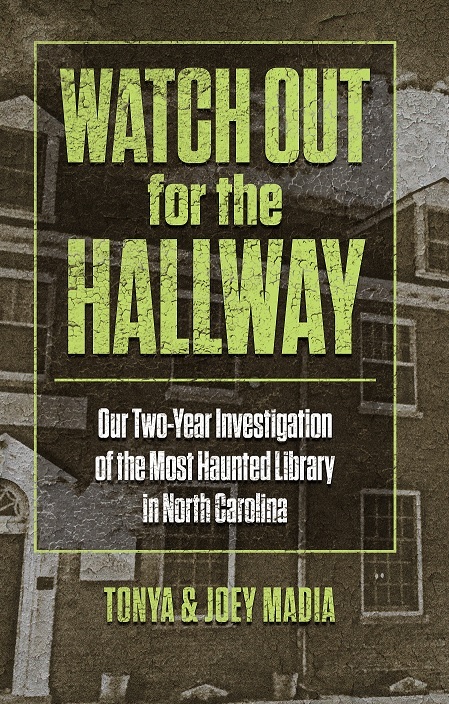 Welcome to a library where the ghosts aren’t in the books – they are right next to you in the halls and rooms, looking over your shoulder as you pick a title from a shelf. This is the Earle W. Webb Jr. Memorial Library, built on haunted ground with a legacy of pirates and German U-boats, and is jam-packed with spirits. Join veteran paranormal investigators Joey and Tonya Madia as they take you on a mind-bending tour of every shadowy corner of the library and its spooky and colorful spectral residents who do not hesitate to let visitors know they are around. The Madias present a textbook case for how to conduct a paranormal investigation, involving observation, equipment, psychic mediumship and historical research. How creepy can an old, haunted library get? The answer is extremely creepy. And then some, too! In the pages of this book our fearless investigators cross paths with supernatural shadow entities, with the notorious and dreaded Men in Black, with dark and dangerous energy-based entities, and with supernatural things guaranteed to provoke terror and mayhem. Watch Out for the Hallway is a book to read on the proverbial dark and stormy night. Tonya and Joey share such an amazing experience through their journey. They discuss their lives together as a family amongst entities that could be disruptive and feared. They lost themselves to time and energy shifts in an unexplored universe. Spiritual entities helped, hindered and taught them much about paranormal research. This book is a must for those who wish to learn more about communicating with those you are investigating. Every soul has a mind of its own.